Cold-forging process: up to 80% harder, less prone to nicks and scratches. this is all being shown like a super-precision watch ad. 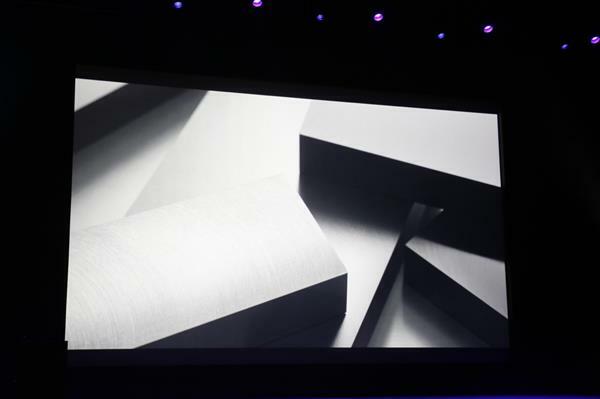 diamond-like carbon layer added for space black model. 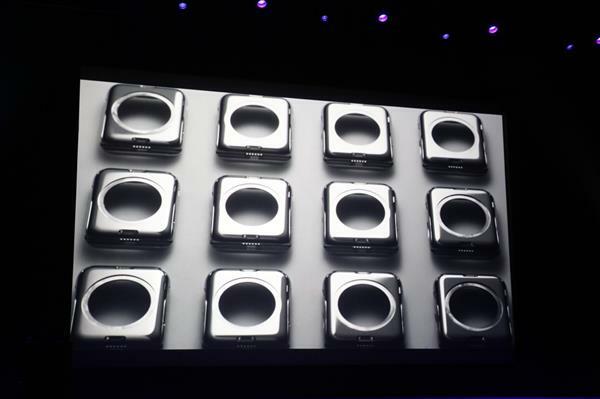 Milanese loop: made of mesh of steel coils like fabric. On Apple Watch. So, again: starts at $549/$599. I totally guessed this right. 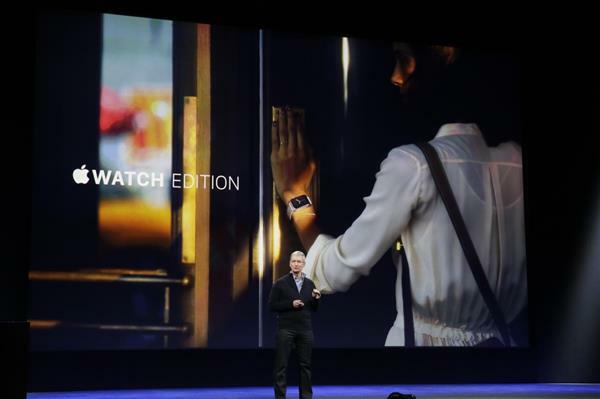 Apple Watch Edition: $10,000 starting price. Select retail stores. HOLY MOLY. April 10 preorders. And can try them at Apple Stores. Cook: April 10. Preorders start. Can also see in Apple retail stores starting then. 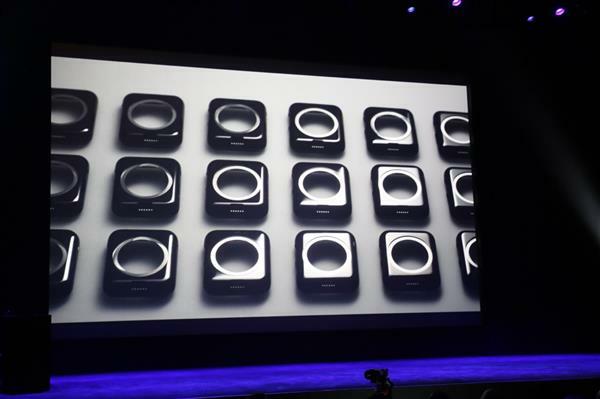 Cook: Beautiful custom table where can see all the Apple Watches beautifully displayed. Retail staff can help you try them on. 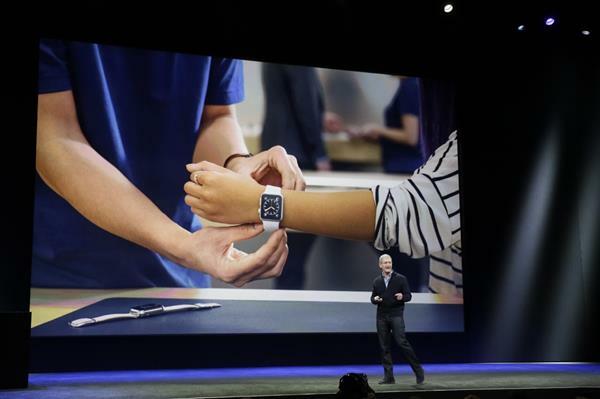 Each Apple Store will have a custom table to try on Apple Watch models. Available April 24, many countries. 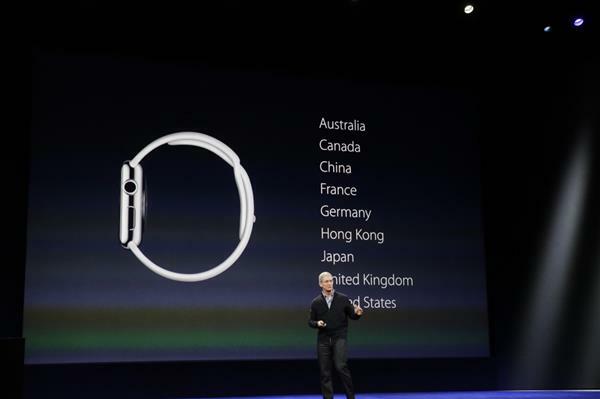 Australia, Europe, Hong Kong - global launch. 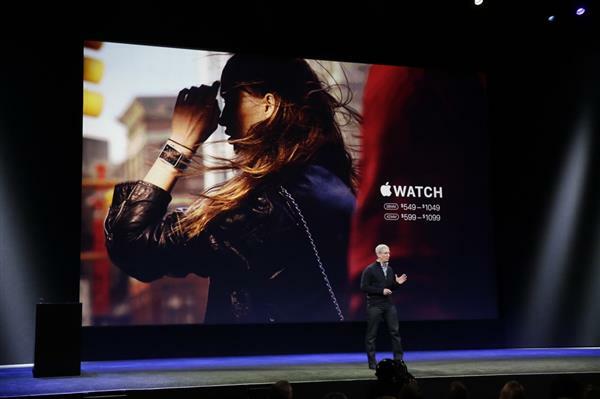 So, the Apple Watch could be $349 for you, or $549, or $800, or $1000, or $10,000. Many, many ways to go. Looks like steel Apple Watch will end up hitting $700 or more easily based on what band you pick.